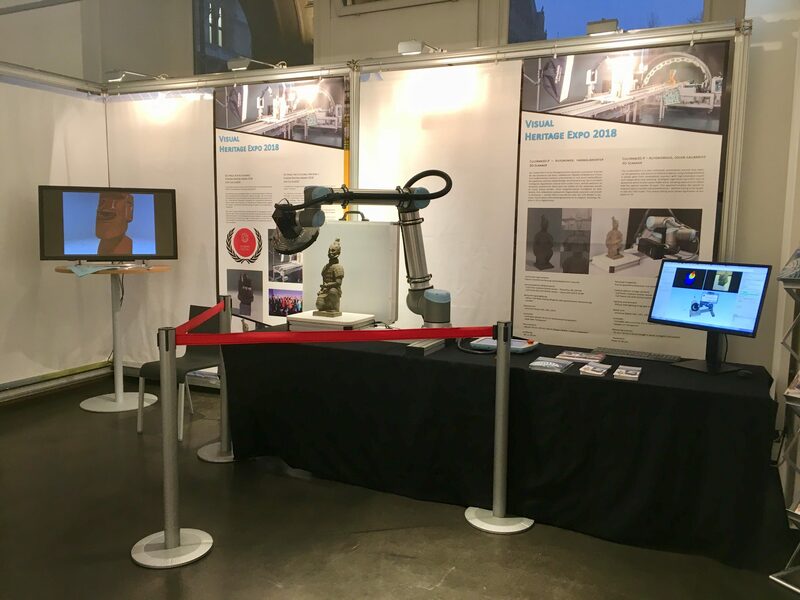 CultLab3D is presenting its new robot arm at the Visual Heritage EXPO. The exhibition is open to the public, so come and see us in Vienna! The exhibition is taking place in the context of this year’s Visual Heritage Congress “DIGITIZE: RESEARCH – RECORD – REACTIVATE – RECONSTRUCT” which is organised by the EG GCH (Eurographics Symposium and Graphics Cultural Heritage) and other partners in the City Hall of Vienna, Austria. From 12 to 15 November 2018, cultural heritage enthusiasts come together to share experiences and knowledge on methodologies concerning digital visual media and their use for heritage applications. During the Visual Heritage EXPO, museums, universities and research institutes showcase their developments in digitization, 3D technology, virtual- or augmented reality, museum- and exhibition tools. The event is held in the context of the European Year of Cultural Heritage and the Austrian Presidency of the Council of the European Union at the 2nd half of 2018.